Fortnite Season 8 has already hailed the arrival of several new weapons and vehicles to shake up the battle royale’s metagame, but Epic isn’t quite done yet, it seems. Now that the developer appears to have finally settled on an appropriate balance setting for Season 8’s spherical Baller vehicle, focus on new content has been able to resume in the form of new weapons and gadgets for Battle Island regulars to make use of, including the addition, last week, of the pint-sized Flint-Knock blunderbuss pistol. 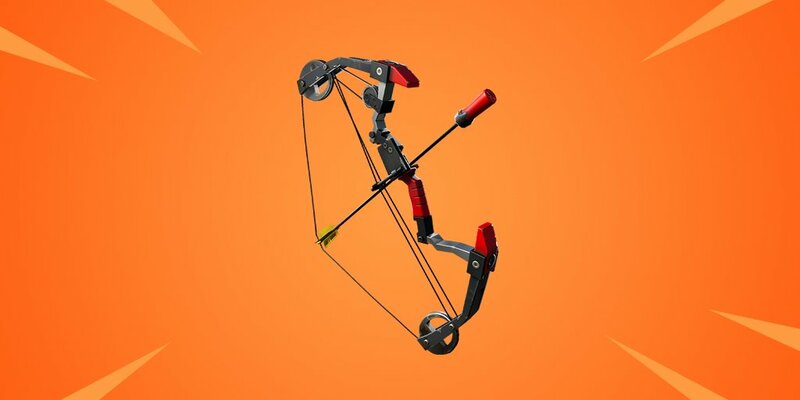 As for its technical specifications, Epic says that holding the fire button down will increase the arrow’s flight speed, with a hold speed of 1.6 seconds required to get maximum power from your shots. Direct hits will deal both initial impact damage and follow-up explosion damage, with the latter always causing a static 100 damage, regardless of draw time. On paper, the Boom Bow sounds like an excellent addition to Fortnite‘s sandbox, but if you prefer your precision weapons to fire bullets, not to worry – new Limited-Time Mode Sniper Shootout will be right up your alley. In this mode, players will only have access to sniper rifles and nothing else. What’s more, Floor Loot frequency is reduced by half and revives in duo and squad modes are disabled entirely. When you’re out, you’re out.